Congratulations to "Catslady", the winner of Elle's giveaway. Thank you to all who participated! We've all wished at some point in time that we could poke a needle in a doll and get back at someone who has wronged us. Or we've all wished we could cast a spell on someone or give them a love potion so they will love us better. I like to believe there really is magic out there and what better place to find it than in Voodoo and the bayous of Louisiana? Voodoo can find its origins in the ancient religions, rituals and beliefs of Africa and Haiti, add to it the healing arts the Native Americans, folk magic of Europe and a touch of Catholicism. People used it as a way to explain and deal with life. It has been used for good and evil, to heal and destroy. 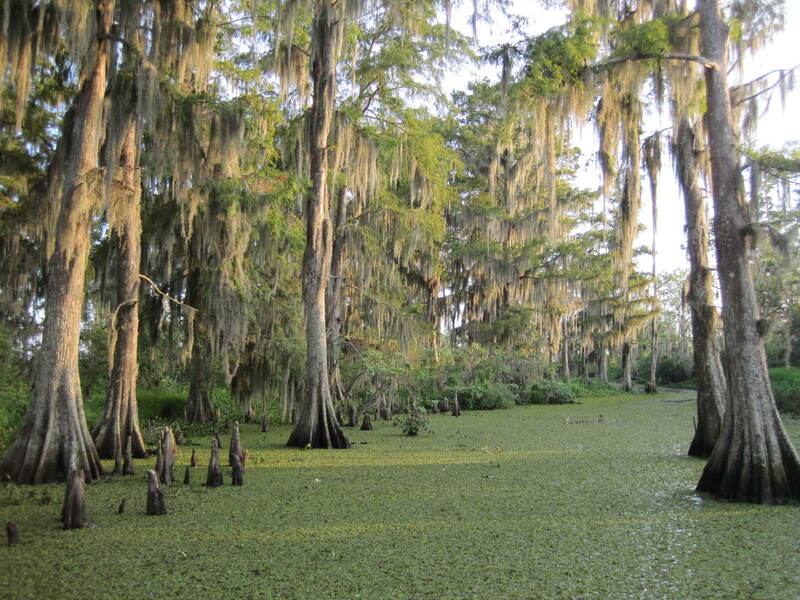 It's a rich part of the culture of Louisiana and New Orleans history and many parts of the south and provides a great basis for a series of stories grounded in the Atchafalaya Basin. Elle will be giving away a signed copy of The Witch's Initiation. Giveaway ends 11:59pm EST April 3rd. Please supply your email in the post. You may use spaces or full text for security. (ex. jsmith at gmail dot com) If you do not wish to supply your email, or have trouble posting, please email maureen@justromanticsuspense.com with a subject title of JRS GIVEAWAY to be entered in the current giveaway. US and CANADA only. Louisiana is on my bucket list. Just finished a paranormal romance with a Voodoo curse. Now in the final editing stages. I have always wanted to go to Louisana. I definitely want to go go New Orleans and see some of the other parts of the Bayou. This book sounds great. Elle is a new author for me and would love to check out this book. Thanks for the chance to win. Love the covers of both these books and can't wait to read them. If you get the opportunity to visit Louisiana, you have to experience New Orleans. But don't short yourself on a trip to the bayou and an airboat ride. Do like me and pet a 12ft alligator. Then skip on over to Oak Alley for a step into the past. All well worth the effort and cost. Thanks for commenting and I hope you enjoy my books! i really, really enjoy reading your books. i'm originally from texas. the only time i was in LaPlace, la, was to see my brother & his family. didn't have time to sight see because we were driving through to charleston, sc, to take military flight to frankfurt, germany. this was in 1977. the landscrape has change since then. Orlando. It truly is a picturesque state. I've traveled through Louisiana several times (mostly I10 over the Atchafalaya Basin), but never got to stop anyplace - just made a list of the places I actually want to visit (especially New Orleans!). The Cajun Magic series sounds like fun. Voodoo in the Bayou sounds like the kind of book I would enjoy reading. I've added it to my list of books to read. Thanks for the info and a chance to win one of your books. I've never beento the South so I don't know much about voodoo. I've been to New Orleans for just a few hours and which I could have stayed longer. This sounds like an exciting page turner of a story! Thanks for the chance. I love reading about the bayous and New Orleans! Finally got to go 2 yrs. ago for my 30th anniversary and I loved, loved NOLA. I'm a big fan of your books and I can't wait to read this one. Thanks for the chance. I love stories about the bayous and voodoo. The only place I know that has both is New Orleans. It would be an interesting city to visit one of these days.